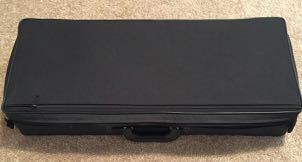 This instrument is in very good condition, and was regularly played and serviced. Nice even sound with good intonation. 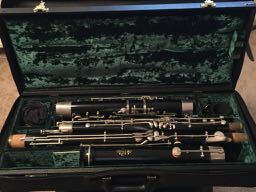 Wooden bassoon with a black finish. 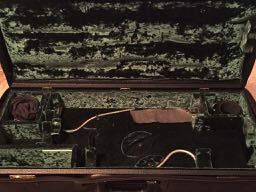 Includes a balance hanger, Fox Pro Case with cover, 2 Polisi Bocals (#1 & #2) anti-tarnish strip and humidifier.